Why are these important? Click here to learn what these publications represent. Henry MH, Lundy FH. Flexor Subzone II A-D Range of Motion Progression During Healing on a No-splint, No-tenodesis Protection, Immediate Full Composite Extension Regimen. J Hand Surg AP 2019. Henry MH. Fingertip and Nailbed Injuries. In: Weiss AP. and Calfee RP., eds. The American Society for Surgery of the Hand Textbook of Hand and Upper Extremity Surgery, 2nd Edition. Chicago: ASSH, 2019. Henry MH. Radiocarpal Dislocations. In: del Pinal F., ed. The International Federation of Societies for Surgery of the Hand. Distal Radius Fractures.2019. Henry MH. Hand Infections. Current Orthopedic Practice 2018; 29(2): 105-109. Henry MH. Homodigital Island Flaps In: Moran S. and Chung K., eds. ASSH Surgical Anatomy: Flap Reconstruction of the Upper Extremity. Chicago: ASSH, 2018: 30-38. Henry MH. Extensor Tendon Injuries. In: Akelman E., ed. Orthopedic Hand Trauma. Philadelphia: Wolters Kluwer, 2019: 313-320. Henry MH. Bite Wounds. In: Akelman E., ed. Orthopedic Hand Trauma. Philadelphia: Wolters Kluwer, 2019: 467-473. Henry MH. Scapholunate Ligament Injury and Dorsal Intercalated Segmental Instability. In: Akelman E., ed. Orthopedic Hand Trauma. Philadelphia: Wolters Kluwer, 2019: 183-190. Henry MH. Volar, Dorsal, and Lateral Locking Plate Fixation for Pilon Fractures. Tech Hand Upper Extremity Surgery 2017; 21(1): 22-27. Henry MH. Homodigital Island Flaps. In: Moran S, ed. Masters Techniques in Orthopaedic Surgery: Soft Tissue Surgery. 2nd ed. Philadelphia: Wolters Kluwer, 2016: 308-321. Henry MH. Metacarpal Fractures. In Ring D, ed. Fractures in the Elderly. New York: Taylor and Francis, 2016: 397-408. Henry MH. Evidence Based Medicine: Kirschner Wire Exposure in Hand and Wrist Trauma. Journal of Hand Surgery 2015; 40(10): 263-264. Henry MH. Management of Iatrogenic Ulnar Nerve Transection. Journal of Hand and Microsurgey 2015; 7(1): 173-176. Henry MH. Fractures and Dislocation of the Hand. In: Heckman JD, ed. Rockwood and Green’s Fractures in adults 8th ed. Philidelphia: Lippincot, Williams,and Wilkins, 2014: 915-990. Henry MH. Reconstruction of both volar and dorsal limbs of the scapholunate interosseous ligament. Journal of Hand Surgery 2013; 38(8): 1625-1634. Henry MH. Pseudotendon formation causing painful tethering of ruptured flexor carpi radialis tendons. Journal of Hand and Microsurgery 2013; 5(1):1-3. Henry MH. Anatomic reconstruction of the radioulnar ligament. HAND 2012; 4: 413-419. Henry MH. TFCC – A DRUJ Perspective. In: del Pinal F, ed. Arthroscopic Management of Ulnar Pain. New York: Springer, 2012: 121-135. Henry MH. Evidence Based Medicine: Flexor tendon repair in zone II. Journal of Hand Surgery 2011; 36A:1073-1075. Henry MH. Evidence Based Medicine: Septic flexor tenosynovitis. Journal of Hand Surgery 2011; 36A:322-323. Henry MH. Reliability of the 8 week time point for single assessment of midcarpal fusion by CT scan. Journal of Hand and Microsurgery 2011; 3: 1-5. Henry MH. Prosthetic hemi-arthroplasty for post-traumatic articular cartilage loss in the proximal interphalangeal joint. HAND 2011; 6:93-97. Henry MH. Double bundle tendon graft for rotational stabilization of lunate implant arthroplasty. Techniques in Hand and Upper Extremity Surgery2011; 15:16-23. Henry MH. Fractures and Dislocations of the Hand. In: Heckman JD, ed.Rockwood and Green’s Fractures in Adults. 7th Ed. Philadelphia: Lippincott, Williams, and Wilkins, 2010: 709-780. Henry MH. Perilunate dislocation and fracture dislocation. In: del Pinal F, ed. Distal Radius Fractures-Arthroscopic Management. New York: Springer, 2010: 127-149. Henry MH. Variable pitch headless compression screw treatment of distal phalangeal nonunions. Techniques in Hand and Upper Extremity Surgery2010; 14:230-233. Henry MH. Internal headless compression screw method for four corner fusion. Journal of Hand and Microsurgery 2009; 1: 45-49. Henry MH. Sub-capital ulnar shortening osteotomy. Journal of Hand and Microsurgery 2009; 1: 103-107. Henry MH. Distal Radius Fractures. Journal of Hand Surgery 2008; 33A: 1215-1227. Henry MH. Arthroscopic Treatment of Dorsal Wrist Impingement. Journal of Hand Surgery 2008; 33A: 1201-1204. Henry MH. Soft Tissue Sleeve Approach to Open Reduction and Internal Fixation of Proximal Phalangeal Fractures. Techniques in Hand & Upper Extremity Surgery 2008; 12: 161-165. Henry MH. Management of Acute Triangular Fibrocartilage Complex Injury of the Wrist. Journal of the American Academy of Orthopaedic Surgeons 2008; 16: 320-329. Henry MH. Fractures of the Proximal Phalanx and Metacarpals in the Hand: Preferred Methods of Stabilization. Journal of the American Academy of Orthopaedic Surgeons 2008; 16: 559-618. Henry MH. Specific Complications Associated with Different Types of Intrinsic Pedicle Flaps of the Hand. Journal of Reconstructive Microsurgery 2008; 24: 221-225. Henry MH. Anomalous Course of Median Nerve Presenting with Atypical Pronator Syndrome. Journal of Hand Surgery-European 2008; 33: 533. Henry MH. Latissimus Dorsi Free Flap Salvage of Recurrent Chronic Osteomyelitis with Simultaneous Elbow Interposition Arthroplasty. Hand2008; 3:1-3. Henry MH. Stutz C. A Prospective Plan to Minimize Median Nerve Related Complications Associated with Operatively Treated Distal Radius Fractures.Hand Surgery 2007; 12:199-204. Henry MH. Genicular osseous-periosteal Flap Salvage of Resistant Atrophic Non-Union of the Distal Radius Metaphysis. Hand Surgery 2007; 12: 211-215. Henry MH. Wide Resection of Traction Induced Radial Nerve Injury with Cable Nerve Grafting Leads to Full Recovery. Hand 2006; 1(2): 85-88. Henry MH. Degloving Combined with Structural Trauma at the Digital Level: Functional Coverage with Fascial Free Flaps. Journal of Reconstructive Microsurgery 2007; 23: 59-62. Henry MH. Immediate Mobilisation Following Corrective Osteotomy of Distal Radius Malunions with Cancellous Graft and Volar Fixed Angle Plates. Journal of Hand Surgery 2007; 32E:88-92. Henry MH. Collapsed Scaphoid Nonunion with Dorsal Intercalated Segment Instability and Avascular Necrosis Treated with Vascularized Wedge Shaped Bone Graft and Fixation. Journal of Hand Surgery 2007; 32E:148-154. Henry MH. Complications Associated With Specific Types of Intrinsic Pedicle Flaps Used to Reconstruct Digital Trauma Defects. Journal of Reconstructive Microsurgery 2007; 23:466-467. Henry MH, Stutz C. A Unified Approach to Radial Tunnel Syndrome and Lateral Tendinosis. Techniques in Hand and Upper Extremity Surgery 2006; 10: 200-205. Henry MH. Modified Intramuscular Transposition of the Ulnar Nerve. Journal of Hand Surgery 2006; 31A:1535-1542. Henry MH, Stutz C. Homodigital Antegrade Flow Neurovascular Pedicle Flaps for Sensate Reconstruction of Fingertip Amputation Injuries. Journal of Hand Surgery 2006; 31:1220-1225. Henry MH, Stutz C, Brown H. Technique for Extensor Tendon Acceleration.Journal of Hand Therapy 2006; 19(4): 421-424. Henry MH. Complete Recovery of Radial Nerve Function with Long Proximal Origin Early Cable Nerve Grafting. Journal of Reconstructive Microsurgery2006; 22(7): 565. Henry MH. Digital Reconstruction Using Free Fascial Flaps for Major Trauma.Journal of Reconstructive Microsurgery 2006; 22(7): 568. Gruber SA, Mancias P, Swinford RD, Prashner HR, Clifton J, Henry MH.Living-Donor Nerve Transplantation for Global Obstetric Brachial Plexus Palsy. Journal of Reconstructive Microsurgery 2006; 22(4): 245-254. Henry MH. Fractures and Dislocations of the Hand. In: Heckman JD, ed. Rockwood and Green’s Fractures in Adults. 6th ed. Philadelphia: Lippincott, Williams, and Wilkins, 2006:771-856. Smith DW, Henry MH. Volar Fixed Angle Plating of the Distal Radius. Journal of the American Academy of Orthopaedic Surgeons 2005; 13(1):28-36. Henry MH. Arthroscopic Treatment of Acute Scapholunate and Lunotriquetral Ligament Injuries. Atlas of the Hand Clinics 2004; 9(2):187-197. Smith DW, Henry MH. The 45-degree Pronated Oblique View for Volar Fixed Angle Plating of Distal Radius Fractures. Journal of Hand Surgery 2004; 29A(4):703-706. Henry MH, Clifton J, Smith DW. Symptomatic Progression of Congenital Ulnar Nerve Hypoplasia with Brachial Plexus Anomaly: Journal of Reconstructive Microsurgery 2004; 20(6):447-450. Henry MH, Levaro F, Smith DW. Free Adipofascial Flap Interposition for Posttraumatic Forearm Synostosis with Closed Head Injury. Annals of Plastic Surgery 2004; 53(5):506-509. Henry MH, Smith DW, Masson MV. Reconstruction of Distal Radio-Ulnar Joint Instability. Journal of the American Society for Surgery of the Hand 2004; 4(1):35-41. Smith DW, Brou KE, Henry MH. Early Active Rehabilitation for Operatively Stabilized Distal Radius Fractures. Journal of Hand Therapy 2004; 17(1):43-49. Levaro F, Henry MH, Masson M. Management of the Stiff Proximal Interphalangeal Joint. Journal of the American Society for Surgery of the Hand2003; 3(2):78-87. Henry MH. Arthroscopic Treatment of Acute Scapholunate and Lunotriquetral Ligament Injuries. Operative Techniques in Orthopaedics 2003; 13(1): 48-55. Henry MH, Levaro F, Masson M. Periarterial Sympathectomy Salvage of the Acutely Ischemic Hand. Journal of Reconstructive Microsurgery 2003; 19(1): 7-9. Henry MH. Fractures and Dislocations of the Hand. In: Heckman JD, ed. Rockwood and Green’s Fractures in Adults. 5th ed. New York: Lippincott, Williams, and Wilkins, 2002: 655-744. Henry MH, Levaro F, Masson MV, et al. Simultaneous Three-Flap Reconstruction of Extensive Hand and Fingers Degloving Injury. Journal of Reconstructive Microsurgery 2002; 18(5):387-391. Smith DW, Henry MH. Comprehensive Management of Associated Soft Tissue Injuries in Distal Radius Fractures. Journal of the American Society for Surgery of the Hand 2002; 2:153-164. Smith DW, Henry MH, Beaver R. Internal Decompression of Dorsal Wrist Ganglions. Techniques in Hand and Upper Extremity Surgery 2002; 6(3): 145-151. Henry MH, Griggs SM, Levaro F, et al. Volar Approach to Dorsal Displaced Fractures of the Distal Radius. Techniques in Hand and Upper Extremity Surgery 2001; 5(1): 31-41. Henry MH. Review of Atlas of Hand Surgery. The Journal of Bone and Joint Surgery 2000; 82-A(11):1678. Johnston-Jones K, Henry MH. Thoracic Outlet Syndrome. In: Green DP, ed. Operative Hand Surgery. 4th ed. New York: Churchill Livingstone, 1998: 1448-1468. Henry MH, Liu SH. The Accuracy of Physical Examination for Shoulder Instability and Glenoid Labral Tears. In: Fu F, ed. Controversies in Orthopaedic Sports Medicine. Hong Kong: Williams & Wilkins, 1997:368-74. Henry MH, Nuccion S, Liu SH. The Accuracy of the Inferior Sulcus, Apprehension, and Relocation Tests Compared with Intraoperative Findings. Orthopaedic Transactions, 1997. Henry MH, Liu SH, Nuccion S. A Prospective Evaluation of a New Physical Examination for Predicting Glenoid Labral Tears. American Journal of Sports Medicine 1996; 24(6): 721-25. Liu SH, Henry MH, Bowen R. Complications of Type I Coronoid Fractures in Competitive Athletes. Journal of Shoulder and Elbow Surgery 1996; 5(3): 223-227. Liu SH, Henry MH., Nuccion SL. Diagnosis of Glenoid Labral Tear: Comparison of MRI and Physical Exam. American Journal of Sports Medicine1996; 24(2): 149-154. Liu SH, Henry MH., Anterior Shoulder Instability: Current Review. Clinical Orthopaedics 1996; 323:327-337. Osti L, Henry MH, Liu SH. Partial Meniscectomy for Torn Discoid Lateral Menisci in Athletes. Orthopaedic Transactions, 1996. Henry MH, Nuccion S, Liu SH. Diagnosis of Glenoid Labral Tears: A Comparison of Physical Exam and MRI. Orthopaedic Transactions, 1996. Liu SH, Henry MH. : Fracture of the Radial Head with Ulnar Collateral Ligament Rupture. Journal of Shoulder and Elbow Surgery 1995; 4(5):399-402. Henry MH, Lane JM: The Diagnosis and Treatment of Reflex Sympathetic Dystrophy. Current Opinion in Orthopaedics 1995; 6(5):55-59. Henry MH, Liu SH, Loffredo AJ: Arthroscopic Management of the Acromioclavicular Joint Disorder: A Review. Clinical Orthopaedics 1995; 316:276-283. Liu SH, Osti L, Henry MH, et al. Diagnosis of Acute Complete Tears of the Anterior Cruciate Ligament: Comparison of MRI, Arthrometry and Clinical Examination. Journal of Bone and Joint Surgery 1995; 77(B):586-588. Henry MH, Liu SH, Osti L. Diagnosis of Complete ACL Tear: Comparison of MRI, Physical and Arthometric Exam. Orthopaedic Transactions, 1995. Osti L, Henry MH, Liu SH. Partial Meniscectomy for Torn Discoid Lateral Menisci in Athletes. Orthopaedic Transactions, 1995. Henry MH, Berend ME, Feagin JA. Suture Fixation Techniques for the Anterior and Posterior Horns of the Menisci. Surgical Forum, 1991. Berend ME, Henry MH, Feagin JA. Tensile Strength of the Anterior and Posterior Horn Attachments of the Menisci. Surgical Forum, 1991. Henry MH, Berend ME, Feagin JA: Clinical Diagnosis of Acute Knee Ligament Injuries. Annales Chirurgiae et Gynaecologieae: Special Issue on Sports Injuries 1991; 80(2):120-126. Henry MH. Radiocarpal Dislocations. Instructional Course. Triennial Meeting of the International Federation of Societies for Surgery of the Hand. Berlin, Germany. June 2019. Henry MH., Lundy FH. Flexor Sub-zone II A-D Range of Motion Progression During Healing on a No-splint, No-tenodesis Protection, Immediate Full Composite Extension Regimen. American Association for Hand Surgery. Palm Desert, California. February 2019. Henry MH., Lundy FH. Oral Antibiotic Management of Acute Osteomyelitis of the Hand: Outcomes and Cost Comparison to Standard Intravenous Regimen. American Association for Hand Surgery. Palm Desert, California. February 2019. Henry MH. Soft Tissue Coverage of the Hand – Flaps Every Hand Surgeon Should Know. Instructional Course – American Association for Hand Surgery. Phoenix, Arizona. January 2018. Henry MH. Is There Still a Role for a Zaidemberg Graft? Federation of European Societies for Surgery of the Hand. Santander, Spain. June 2016. Henry MH. Anatomic Reconstruction of the Radioulnar Ligament. Federation of European Societies for Surgery of the Hand. Santander, Spain. June 2016. Henry MH. Soft Tissue Injury Associated with Fracture: Does it Matter? European Wrist Arthroscopy Society Symposium. Federation of European Societies for Surgery of the Hand. Santander, Spain. June 2016. Henry MH. Spiral Tenodesis for Metacarpophalangeal Instability with Trapeziometacarpal Arthroplasty. American Association for Hand Surgery. Scottsdale, Arizona. January 2016. Henry MH. Locked Plating for Phalangeal “Pilon” Fractures: Volar, Lateral, and Dorsal. American Association for Hand Surgery. Scottsdale, Arizona. January 2016. Henry MH. Free Vascularized Descending Genicular Artery Structural Bone Flaps to Restore Lost Pinch Function Following Osteomyelitis and Extensive Terminal Bone Loss Near the Digital Tip. American Association for Hand Surgery. Atlantis, Bahamas. January 2015. Henry MH. Resident Nonunions Involving the Distal Radius in Patients with Comorbidities and Multiple Prior Surgeries Treated with Free Vascularized Descending Genicular Artery Bone Flap – Structural Block Combined with Extended Corticoperiosteal Sleeve. American Association for Hand Surgery. Atlantis, Bahamas. January 2015. Henry MH. Outcomes Assessment of Lunate Replacement Arthroplasty with Intrinsic Carpal Ligament Reconstruction. American Association for Hand Surgery. Kauai, Hawaii. January 2014. Henry MH. Microvascular / Flaps Panel. American Association for Hand Surgery. Kauai, Hawaii. January 2014. Henry MH. Pedicle Flap Reconstruction of Finger Defects. 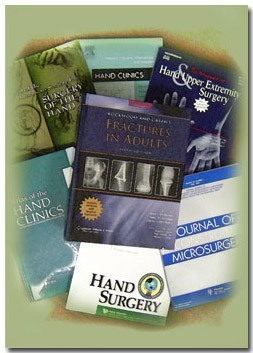 American Society for Surgery of the Hand – Instructional Course. San Francisco, California. October 2013. Henry MH. Patient Rated Outcomes of Anatomic Radioulnar Ligament Reconstruction. American Association for Hand Surgery. Naples, Florida. January 2013. Henry MH. Chronic Painful Post-Injection Flexor Carpi Radialis Ruptures Treated by Complete Tendon Excision. American Association for Hand Surgery. Las Vegas, Nevada. January 2012. Henry MH. Instructional Course Lecture: Middle of the Night Regional Pedicled Flaps for Emergency Coverage of Hand Wounds. American Association for Hand Surgery. Las Vegas, Nevada. January 2012. Henry MH.Instructional Course Lecture: Wrist Pain: New Treatment for an Old Problem. American Society for Surgery of the Hand. Las Vegas, Nevada. September 2011. Henry MH. Reliability of the 8 week time point for single assessment of midcarpal fusion by CT scan. American Association for Hand Surgery. Boca Raton, Florida. January 2010. Henry MH. Flexor Tendon Surgery. American Society for Hand Therapy – TWU Hand Conference. Houston, Texas. February 2008. Henry MH. Complications Associated with Specific Types of Intrinsic Pedicle Flaps Used to Reconstruct Digital Trauma Defects. American Society for Reconstructive Microsurgery. Beverly Hills, California. January 2008. Henry MH. Complete Recovery of Radial Nerve Function with Long Proximal Origin Early Cable Nerve Grafting. American Society for Reconstructive Microsurgery. Tucson, Arizona. January 2006. Henry MH. Digital Reconstruction Using Free Fascial Flaps for Major Trauma. American Society for Reconstructive Microsurgery. Tucson, Arizona. January 2006. Smith DW, Henry MH. Volar Platform Plating of the Distal Radius. American Society for Surgery of the Hand – British Society for Surgery of the Hand Combined Meeting. Cambridge, England. April 2003. Henry MH, Levaro F, Monasterio M, Brou K. Tendon Acceleration: A new technique for managing tendon adhesions. American Society for Hand Therapy. Ottawa, Canada. September 2002. Dutta AK, Henry MH, Brou K. Elbow Capsulectomy: Instructional Course Lecture. American Society for Hand Therapy. Ottawa, Canada. September 2002. Geck M, Henry MH, Lawrence JF, et al. Radial Hemimelia – A Comparative Radiographic Outcome Assessment. American Society for Surgery of the Hand. Minneapolis, Minnestoa. September 1998. Henry MH, Nuccion S, Liu SH. The Accuracy of the Inferior Sulcus, Apprehension, and Relocation Tests Compared with Intraoperative Findings. California Orthopaedic Association – Costa Mesa, California. April 1997. Henry MH, Nuccion S, Liu SH. The Accuracy of the Inferior Sulcus, Apprehension and Relocation Tests Compared with Intraoperative Findings. American Academy of Orthopaedic Surgeons. San Francisco, California. February 1997. Liu SH, Henry MH, Nuccion S. A Prospective Evaluation of a New Physical Examination in Predicting Glenoid Labral Tear. 2nd World Congress on Sports Trauma. AOSSM 22nd Annual Meeting. Lake Buena Vista, Florida. June 1996. Henry MH, Nuccion S, Liu SH. A Prospective Evaluation of a New Physical Examination for Predicting Glenoid Labral Tears. California Orthopaedic Association. San Francisco, California. April 1996. Osti L, Henry MH, Liu SH. Partial Meniscectomy for Torn Discoid Lateral Menisci in Athletes. American Academy of Orthopaedic Surgeons. Atlanta, Georgia. February 1996. Henry MH, Nuccion S, Liu SH. Diagnosis of Glenoid Labral Tear: Comparison Between MRI and Clinical Examination. American Academy of Orthopaedic Surgeons. Atlanta, Georgia. February 1996. Liu SH, Henry MH, Nuccion S. Diagnosis of Glenoid Labral Tears: Comparison of Physical Exam and MRI. Sixth International Congress of Surgery of the Shoulder. Helsinki, Finland. June 1995. Henry MH, Nuccion S, Liu SH. Diagnosis of Complete ACL Tear: Comparison of MRI, Physical and Arthrometric Exam. Western Orthopaedic Association. Santa Barbara, California. April 1995. Henry MH, Nuccion S, Liu SH. Diagnosis of Glenoid Labral Tear: Comparison of MRI and Physical Exam. Western Orthopaedic Association. Santa Barbara, California. April 1995. Henry MH, Liu SH, Osti L. Diagnosis of Complete ACL Tear: Comparison of MRI, Physical and Arthrometric Exam. California Orthopaedic Association. La Jolla, California. March 1995. Henry MH, Liu SH, Osti L. Diagnosis of Complete ACL Tear: Comparison of MRI, Physical and Arthrometric Exam. American Academy of Orthopaedic Surgeons. Orlando, Florida. February 1995. Osti L, Henry MH, Liu SH. Partial Meniscectomy for Torn Discoid Lateral Menisci in Athletes. American Academy of Orthopaedic Surgeons. Orlando, Florida. February 1995. Liu SH, Henry MH. Anterior Shoulder Instability and Repair. First Academic Congress of the Asian Shoulder Association. Hong Kong. November 1994. Liu SH, Henry MH. Diagnosis of Complete ACL Tear: A Comparison of MRI, Physical and Arthrometric Exam. International Symposium for Arthroscopic Surgery. Taiwan. August 1994. Osti L, Henry MH, Liu SH. Partial Meniscectomy for Torn Discoid Lateral Menisci in Athletes. International Symposium for Arthroscopic Surgery. Taiwan, August 1994. Henry MH, Berend ME, Feagin JA: Specialized Suture Technique for Meniscal Fixation. American Academy of Orthopaedic Surgeons. Washington DC. February 1992. Henry MH, Berend ME, Feagin JA. Suture Fixation Techniques for the Anterior and Posterior Horns of the Menisci. 77th Clinical Congress of the American College of Surgeons. Chicago, Illinois. October 1991. Berend ME, Henry MH, Feagin JA. Tensile Strength of the Anterior and Posterior Horns of the Menisci. 77th Clinical Congress of the American College of Surgeons – Chicago, Illinois. October 1991.